Looks like the beast of a smartphone, the LG Optimus G, just got a turbocharge: LG has just announced the LG Optimus G Pro for the Japanese market. An exclusive to the NTT Docomo carrier in Japan, the Optimus G Pro looks to have taken the lead in terms of specs for the increasingly-saturated 5-inch 1080p smartphone arena. The original Optimus G featured a 4.7-inch IPS screen with a resolution of 1280 x 768 and a powerful 1.5GHz Qualcomm Snapdragon S4 Pro processor with 2GB of RAM. Interestingly, the Optimus G was also the blueprint for Google’s latest Nexus smartphone, the Nexus 4. However, LG was clearly not resting on its laurels with the launch of the refreshed Optimus G Pro. 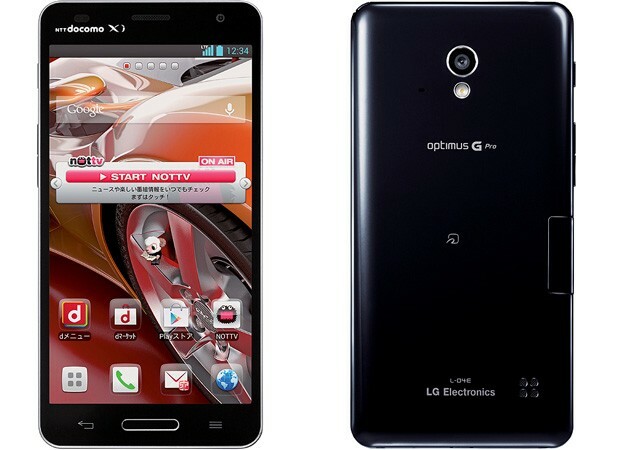 Sporting a 5-inch Full HD screen and running on Android 4.1, the LTE-ready Optimus G Pro is also fitted with the highest-clocked Snapdragon S4 Pro processor yet, at 1.7GHz. There’s also 2GB of RAM and 32GB of flash storage (which is expandable via microSDXC slot), and a 13MP camera. Keeping this beast going is a 3000mAh battery pack, a large improvement from the original 2100mAh one found in the Optimus G.
The LG Optimus G Pro will hit the Japanese market sometime in April, but there is no word on whether this beast of a smartphone will be released internationally.